Nka’Thuto EduPropeller is positioning itself as a vehicle for perpetual social change. Nka’Thuto EduPropeller Alumni not only understand the need to acquire skills for the purpose of applying them, they live that mantra. Similarly they have purpose which drives how they interact and use resources when they are provided. Lindokuhle Sibeko who was in grade 9 at a partner school in Katlehong, Leondale High School in 2017 is testimony to this. Upon winning last year at the school level Innovation Expo for his mobile app based financial management solution, he received a laptop. 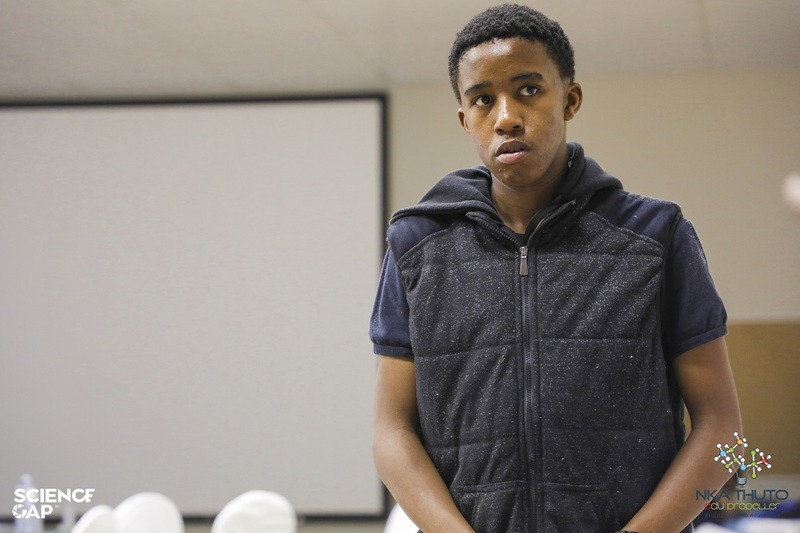 Through the Nka’Thuto mobile research facility that provides learners with connectivity and researching tools, he downloaded a programming and coding tutorial and started teaching himself how to code using the laptop he received through his achievements. When we met Lindokuhle he was clear on his subject choices for grade 10. He was going into a commerce stream but today, through his exposure to Nka’Thuto has chosen STEM subjects. He is a clear example of the Nka’Thuto programme meeting its objectives. In our next issue Lindikuhle shares a testimony about his experience as an edupropeller. Be on the lookout!